It should come as no surprise that I think librarians totally rock. I mean, did you see the FOOT show at the Windsor Terrace library? And I'm happy to see that folks like the New York Times are finally taking notice. Anyway, this week's picture book suggestions come courtesy of the librarians. The ALA announced the 2009 Caldecott winners. You won't need any further recommendation from me. 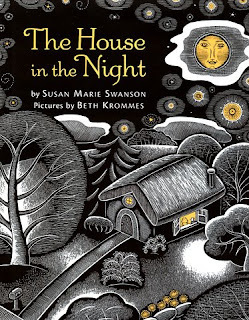 The House in the Dark, a beautiful book, took top honors, but congratulations to all! Shiny stickers all around.